G eorge, is a seven year old Chow X that was referred to our clinic for a horrible odor coming from the mouth, with pain when eating. 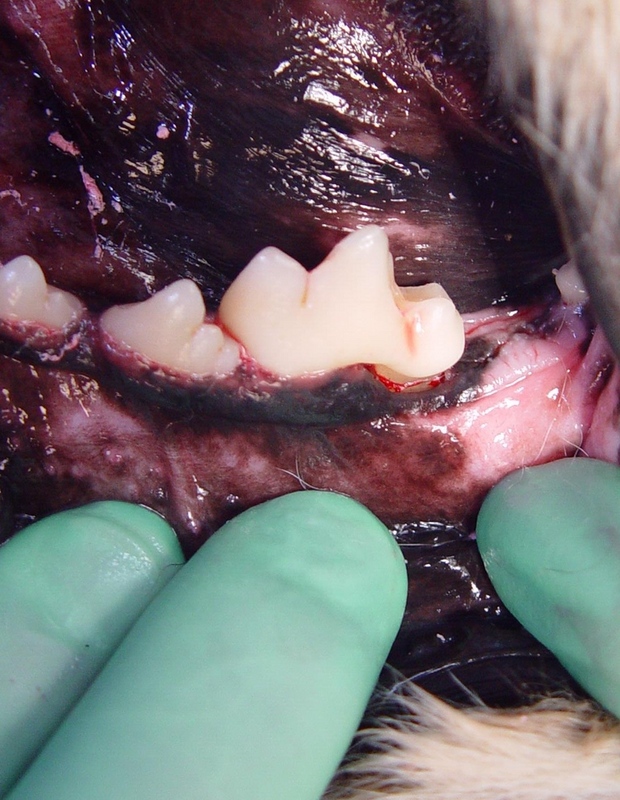 On our initial exam there was obvious advanced preiodontal disease and multiple fractured teeth with pulp exposure. He was scheduled for presurgical labwork, oral exam under general anesthetic and dental digital images. After this was completed we presented to the owner a working treatment plan. T his case presented will detail the perio-surgery and bone augmentation. 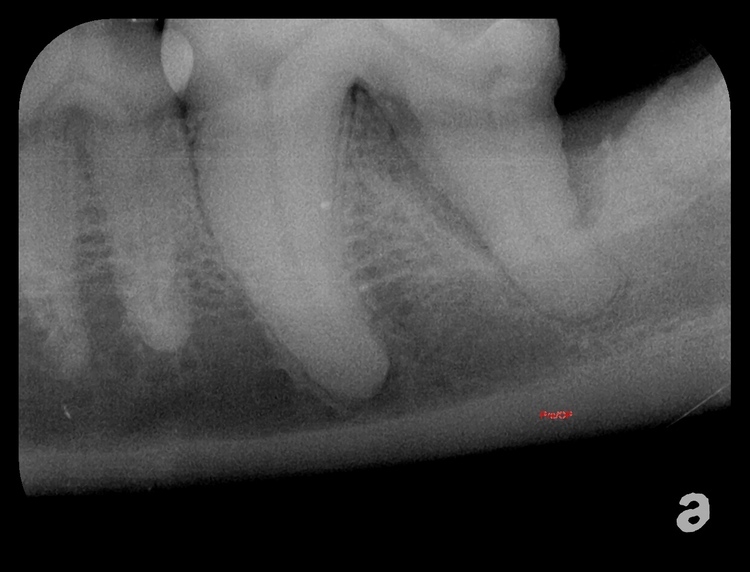 As seen, the distal root has significant bone loss (Four Wall Defect), while the mesial root remains normal. O ur choice was to try to save the molar. 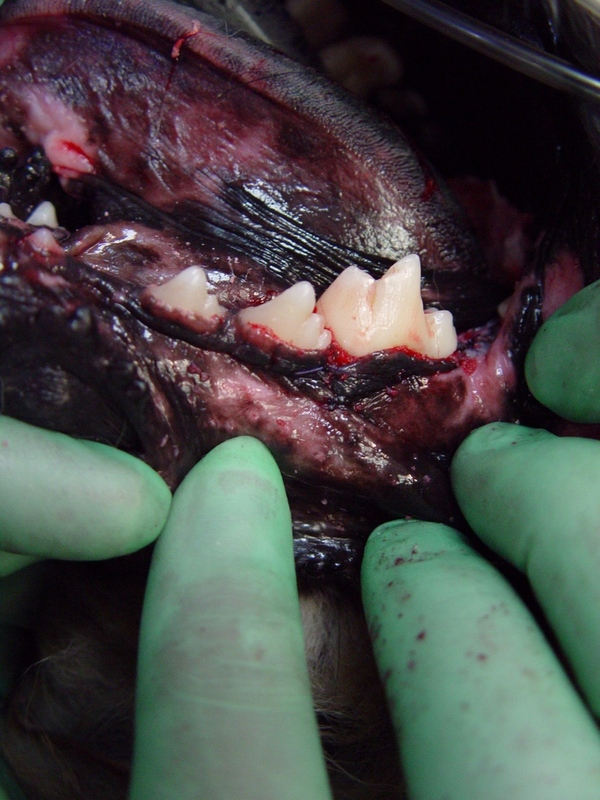 The gingival tissue was reflected to expose the bony defect. 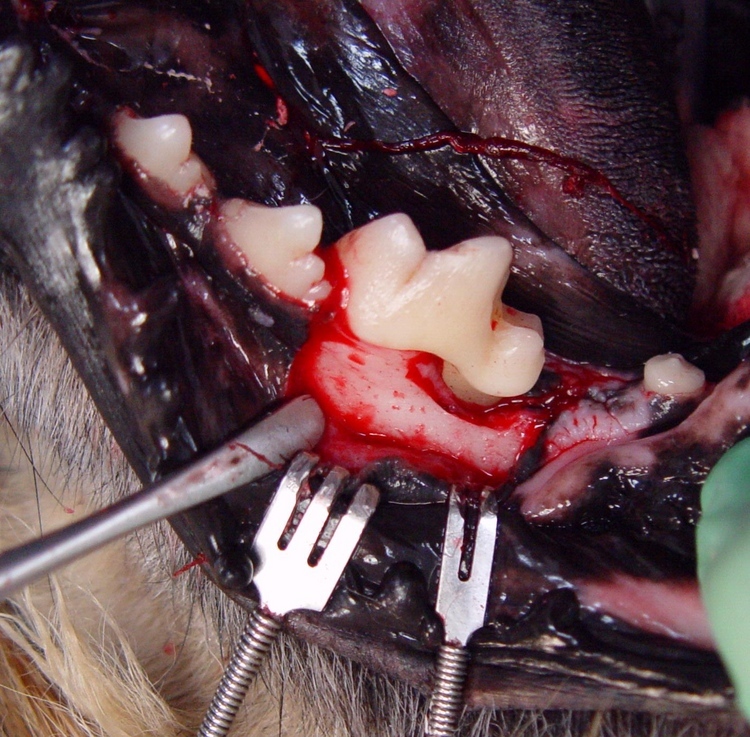 A high speed drill was used to remove the alveolar bone surrounding the root. Debridement and root planing was performed. 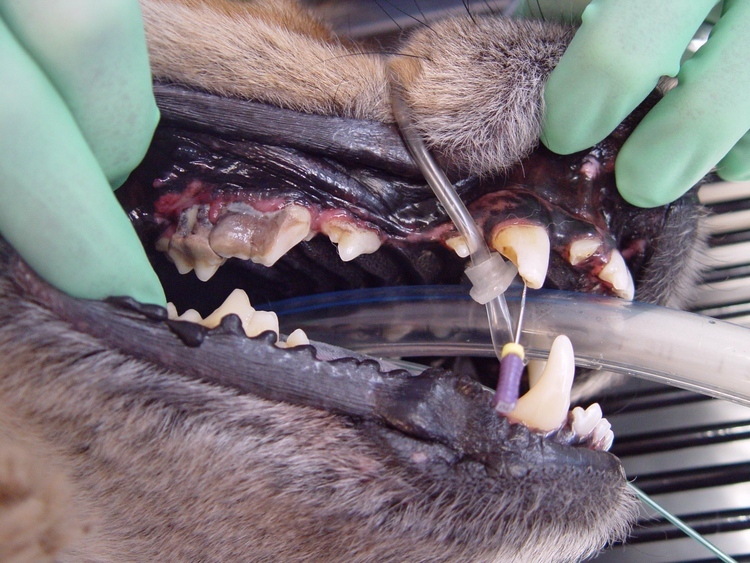 A n allograft was used to fill the defect, hoping to restore the periodontium and save the tooth. 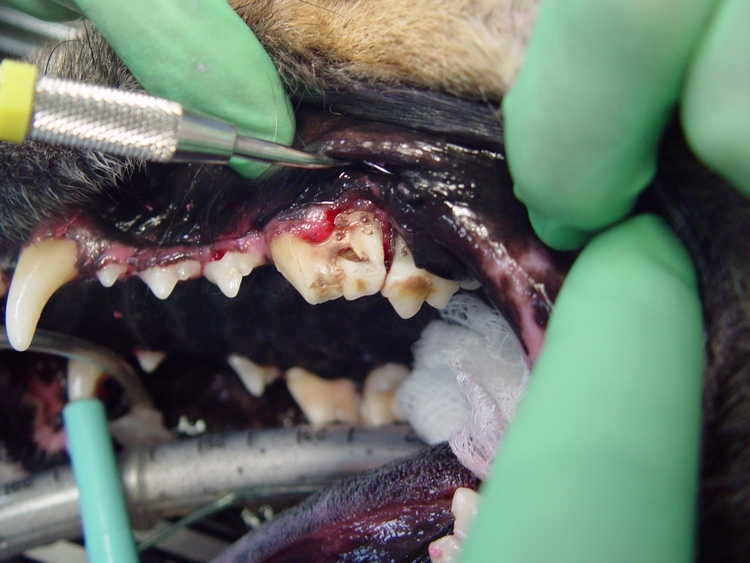 The gingival tissue was returned to normal alignment and sutured in place. 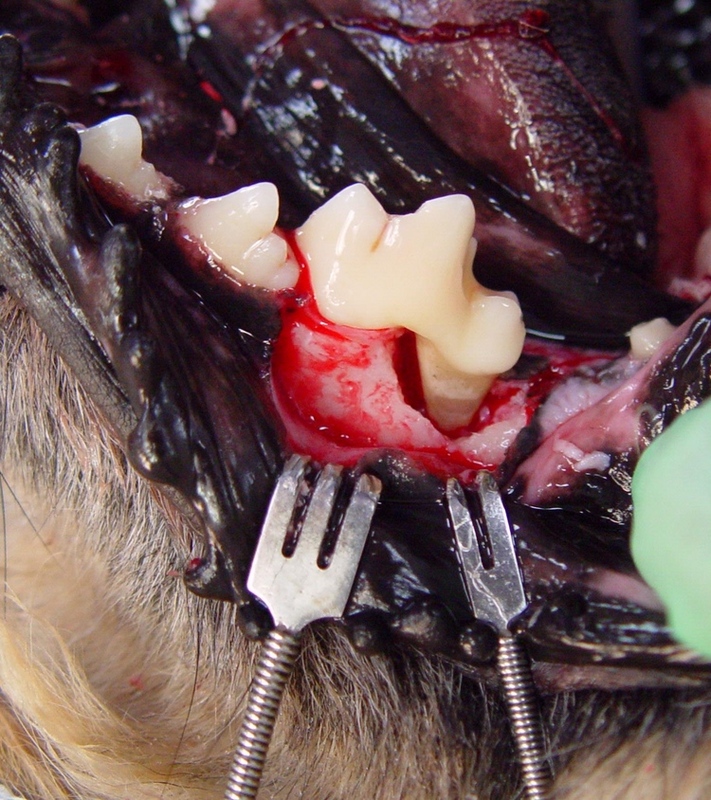 I n this case our objective was to save the tooth and restore the surrounding mandibular bone. 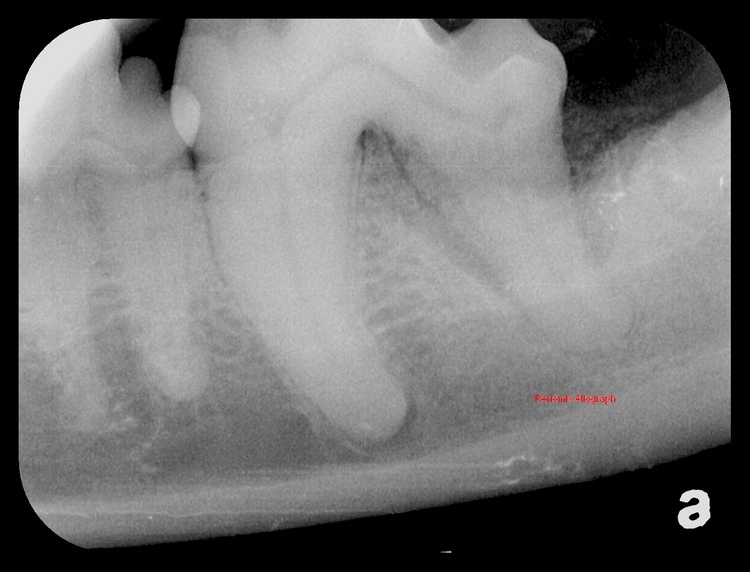 Advanced cases cause a widened space and lose of the alveolar walls that support the tooth. 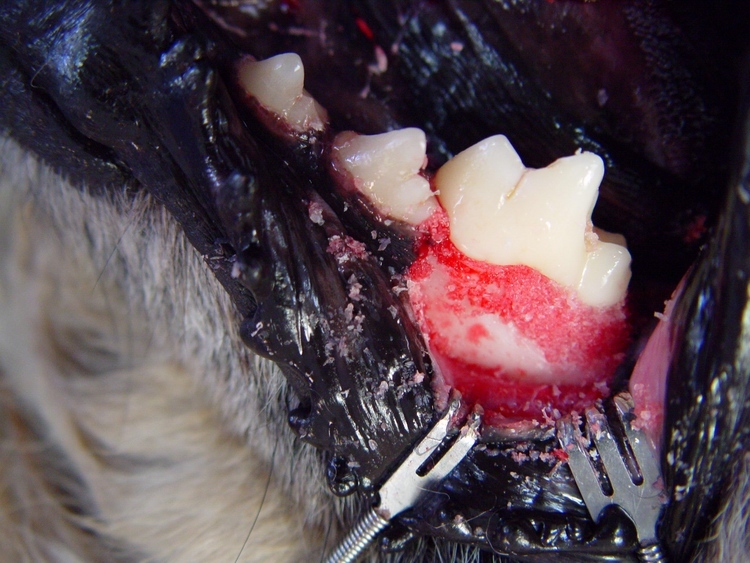 After careful debridement and root planing a real bone graft designed for veterinary use was chosen. This allograft consists of osteoinductive demineralized bone (DBM) and osteoconductive cancellous bone chips. The osteoinductive property of the bone graft will acheive faster and stronger bone healing compared to any bone substitute.